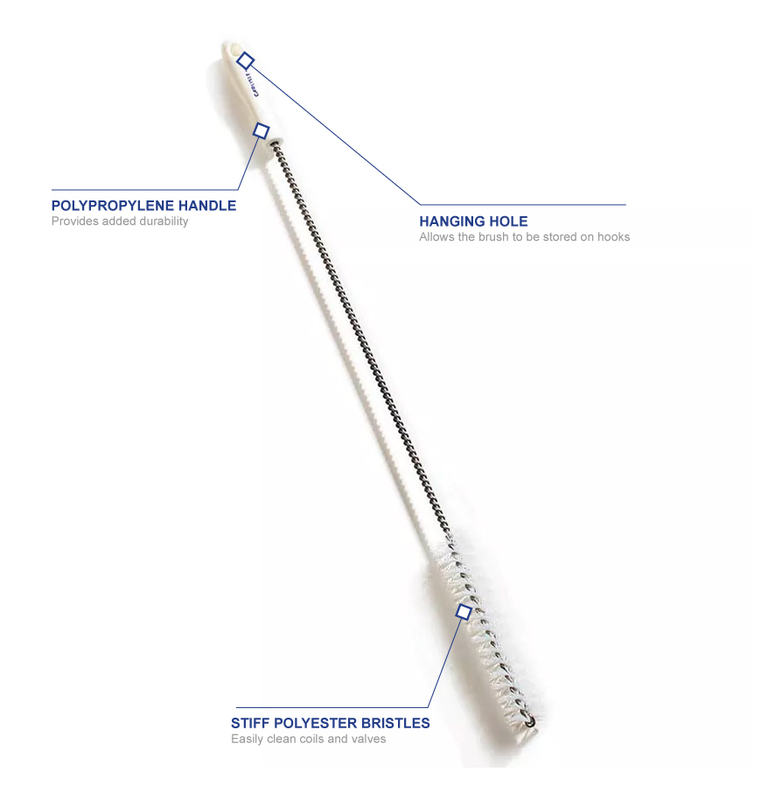 The Carlisle 4015000 Sparta® kettle valve brush has a 4.5-inch handle made of polypropylene for comfortable use. There is a hole in the handle, so the brush can be stored on wall or shelf hooks, and its stiff polyester bristles effectively clean kettle valves and refrigeration or fryer coils. 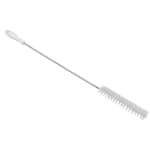 The Carlisle 4015000 Sparta coil brush should only be used on equipment after it has cooled down because of its 125 degrees Fahrenheit maximum safe temperature.